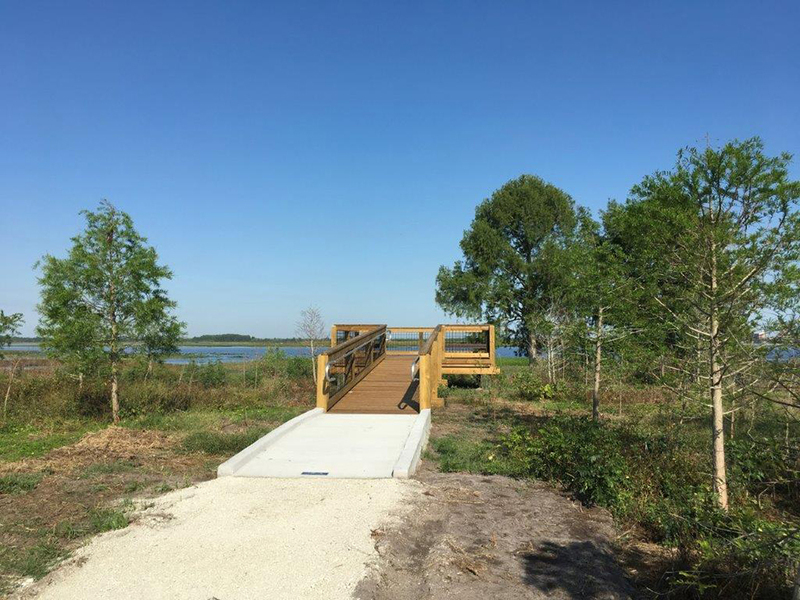 Osceola County Parks contracted with Fender Marine Construction to build marine related structures in the county. The contract covers boat ramps, boat docks, floating docks, nature trails and boardwalks. Brownie Wise Park is on Lake Toho and is home to several species of birds including American Eagles and Ospreys to name a few. 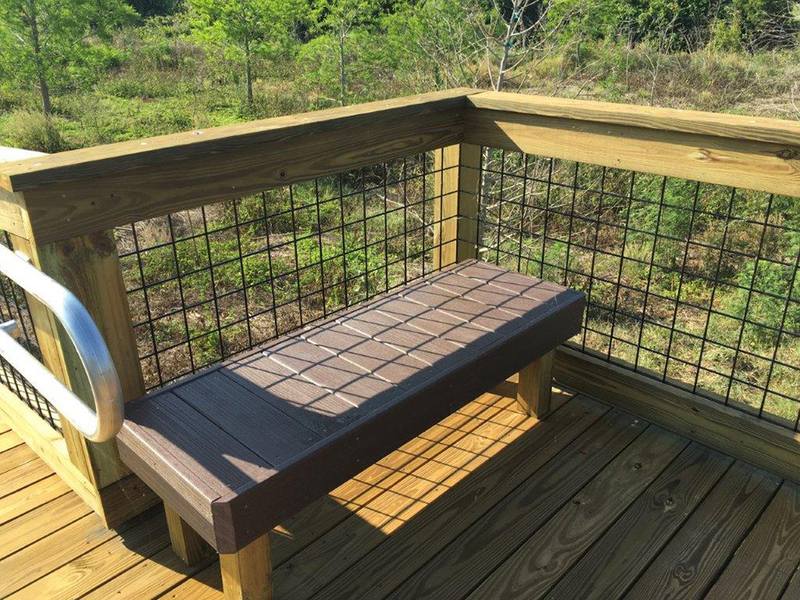 This observation platform was only a few hundred feet away from a Bald Eagle next so we had to take care not to disturb them. 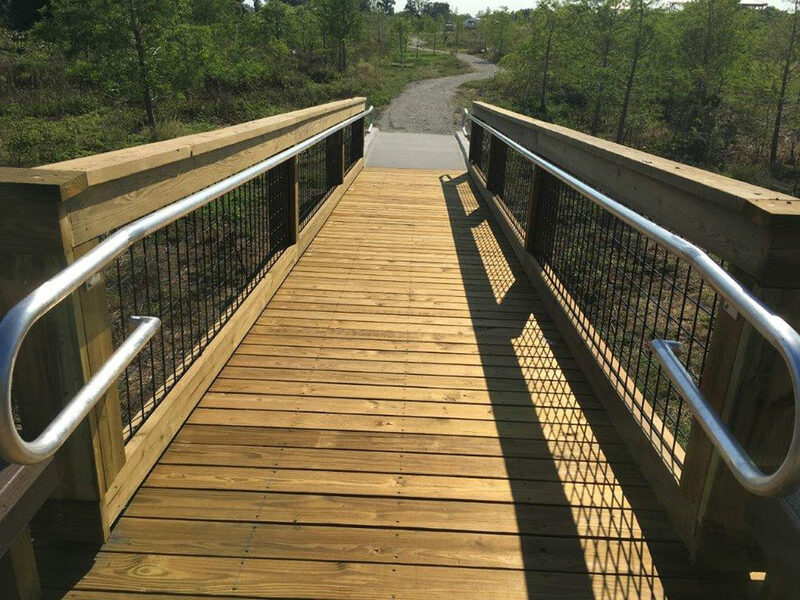 The handicap ramp up to the observation platform started with a concrete ramp followed by an all wood ram with mesh handrail and a handicap grab rail. Fender Marine Construction donated (2) built in benches to top off the project using "Wear" fiberglass reinforced HDPE decking for years of comfort.